. 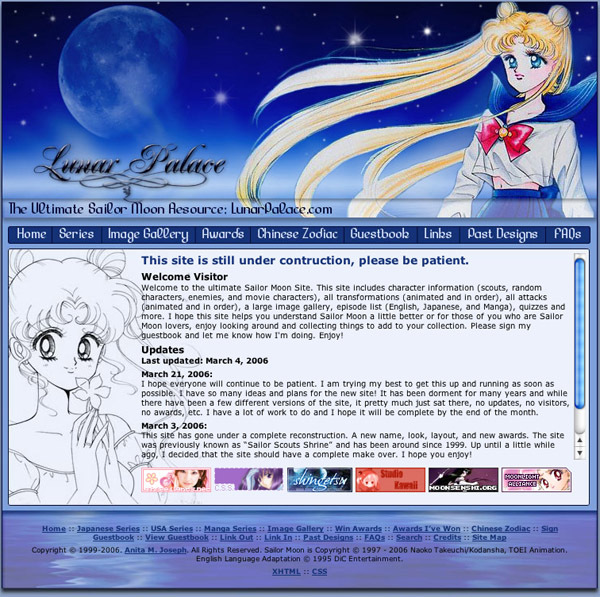 : Lunar Palace v.5 - Past Designs :. This site, version 5, has gone under a complete reconstruction. A new name, look, layout, and new awards. 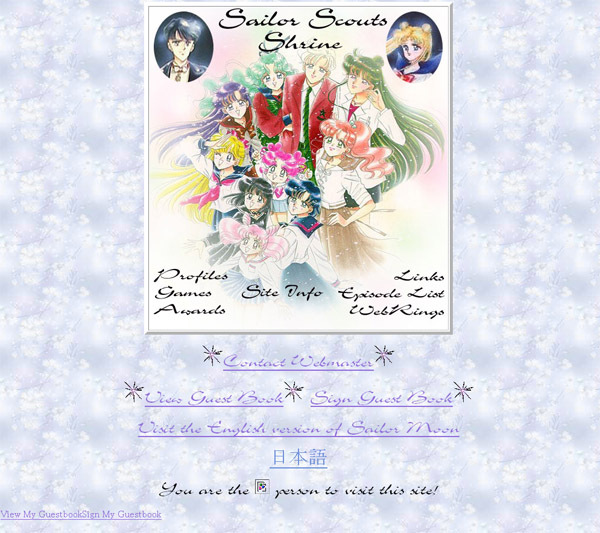 The site was previously know as "Sailor Scouts Shine" and has been around since 1999. 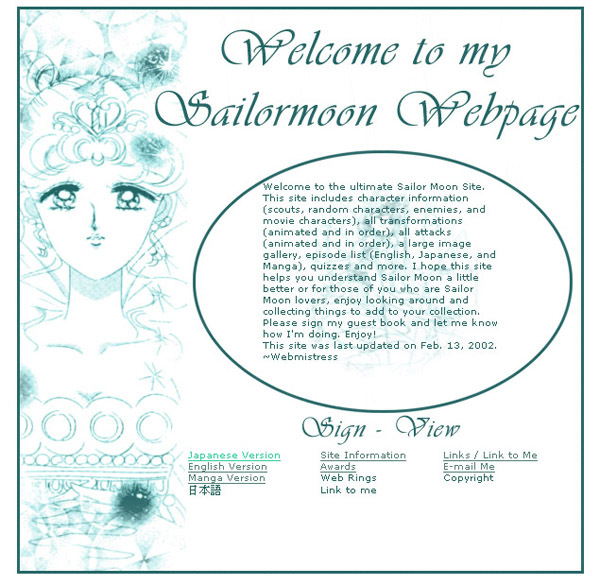 During the time period of v.3 and v.4, I neglected the site. Hence, the huge gap between some things. Up until a little while ago, I decided that the site should have a complete make over! New content, strategies, layout, reading material, etc. There will be more to come!